About 9:10 pm. c.s.t. on April 27, 1985 natural gas under 990 psig ruptured the No. 10, 50-inch-diameter pipeline of the Texas Eastern Gas Pipeline Company. The pipeline was located 2 miles east of Beaumont, Kentucky, under Kentucky State highway 90. The force of the escaping high-pressure gas ripped open 30 feet of pipe, blasted an opening across Kentucky State highway 90, and dug out a crater 90 feet long, 38 feet wide, and 12 feet deep. The escaping gas ignited and incinerated an area about 700 feet long and about 500 feet wide. Five persons in a house 318 feet north of the rupture were killed and three persons 320 feet south of the rupture were burned as they ran from their house trailer. Two houses, three house trailers, a sawmill, two barns, numerous parked cars and abandoned vehicles, and nine pieces of road construction equipment were destroyed. At 2:05 a.m. 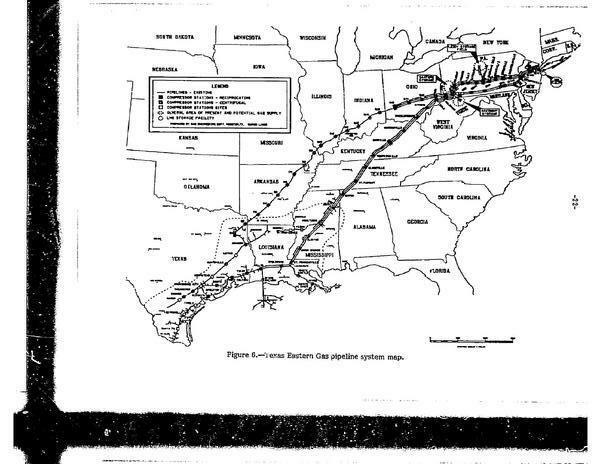 c.s.t., on February 21, 1986, natural gas under 987 psig ruptured the No. 15, 30-inch-diameter pipeline of the Texas Eastern Gas Pipeline Company 50 feet south of State highway 52 near Lancaster, Kentucky. 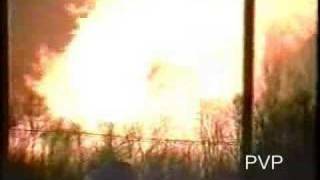 The force of the escaping gas ripped 480 feet of pipe out of the ground, exposed 40 feet of an adjacent parallel pipeline, ignited and destroyed two houses, one house trailer, six automobiles, and damaged other buildings. Three persons were injured, 2 of them seriously, and 77 other persons were evacuated from the area. Remember those five dead, eight injured, 77 evacuated, four houses, four trailers, and numerous buildings and cars the next time somebody tells you gas only goes up. 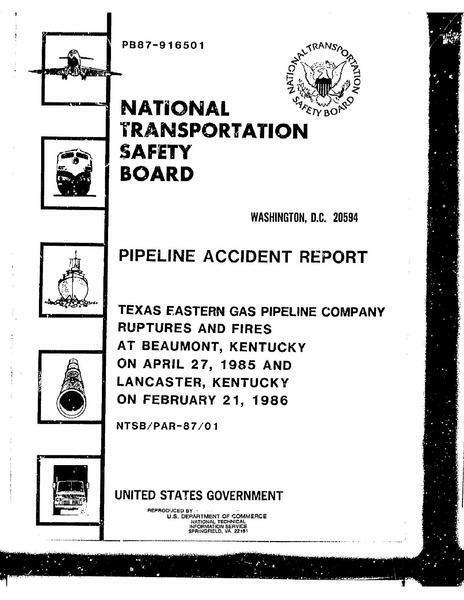 The National Transportation Safety Board determines that the probable cause of the pipeline accident near Beaumont, Kentucky, was the unsuspected and undetected atmospheric corrosion of Texas Eastern Gas Pipeline Company’s 30-inch-diameter pipeline in a casing under State highway 90. Contributing to the accident was the failure of the pipeline industry and of the Office of Pipeline Safety to recognize the need for and to require the use of in-line corrosion detection techniques for identifying and monitoring the existence and severity of corrosion in casing and other areas shielded from corrosion protection. Those problems didn’t get fixed. Spectra’s Durham Woods apartment fire, Edison, NJ, 1994 was quite similar in cause. Even though federal regulations and company procedures were written, the Pipeline Hazardous Materials Safety Administration (PHMSA) fined Spectra in December 2012 on five counts of not following either those regulations or its own corporate procedures, which resulted in uninspected corrosion and leaks. Yet this week, 20 February 2014, Spectra reps stood up before an elected Commission and claimed their company had a sterling safety record. They did offer to put PHMSA’s safety record for Spectra up on their own Sabal Trail Transmission website, but they did not offer to put there EPA’s record $15 million fine for spilling PCBs at 89 sites or the evidence that EPA and Spectra knew about PCBs as early as 1985, four years before that 1989 fine. And they did not offer to put up NTSB’s record of Spectra explosions, including those two in Kentucky and the Edison, New Jersey explosion. Instead, the Spectra reps continued to assert that their company lived and breathed safety. Who will you believe? Corporate employees paid made to make their company look good? Or the public record?